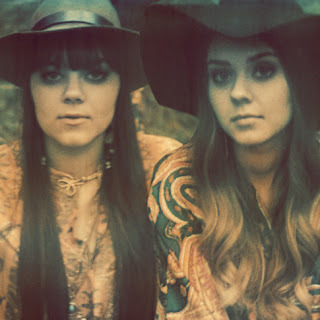 I didn't think it was possible to sweetly tear a beating heart from a chest but, seeing as Johanna and Klara Söderberg snuck off with the bloody thing following their recent EOTR performance, First Aid Kit seemingly have managed to master just that. Fortunately for me, a chance to steal back the little ticker presents itself this Sunday with the Swedish sisters set to play Vicar Street. If their September show was anything to go by, success seems unlikely. I would probably even throw in a liver and some lungs simply for the pleasure of hearing 'Emmy-Lou' or 'The Lion's Roar' again on Sunday evening. Until then, hear the siblings take part in some London-based Bandstand Busking below.